Herbert George Wells with his wife and daughter, 1920s. Diana Rigg in St John's Gardens, April 1970. 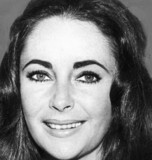 Elizabeth Taylor, 7 December 1966. John Logie Baird experimenting with his first television transmitter, 1925. 'Prince Kung, Brother of the Emperor of China, signer of the treaty', 1860. Churchill before the Big Three Conference, July 1945. Liza Minnelli and Cliff Richard, 1964.